Hailing from Berkeley, California, this electro/hip-hop/indie pop duo sounds like a more pop version of LMFAO and a little more catchy too. Not only do they make hits as artists but they have also produced some great tracks too. 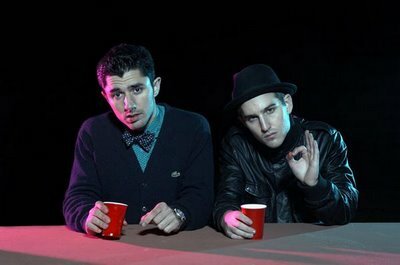 The Cataracs produced “Like a G6” by Far East Movement and produced Glasses Malone’s “I Get Doe”. They formed in 2003 when they met during high school, in 2006 they released their 1st album. Today, The Cataracs have signed with Universal records, released five albums and four mixtapes. “Round 2” and “Top of the World” are the latest hits off The Cataracs recent mixtape, DJ Greg Street x The Cataracs – I Thought They Were Black (download). Listen and download “Round 2”, “Top of the World” and “I Get Doe” by Glasses Malone which is produced by The Cataracs and features them as well.